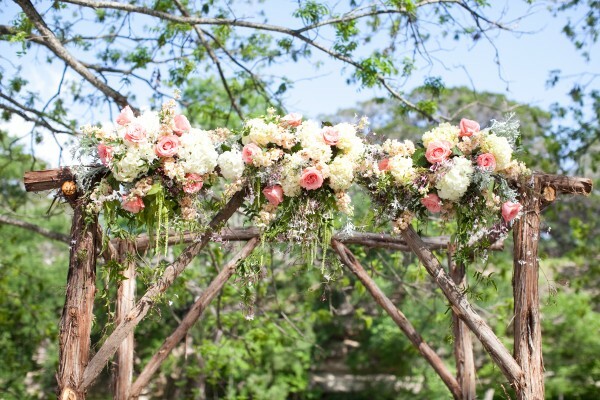 Make all your guests “blush” with a blush themed wedding. 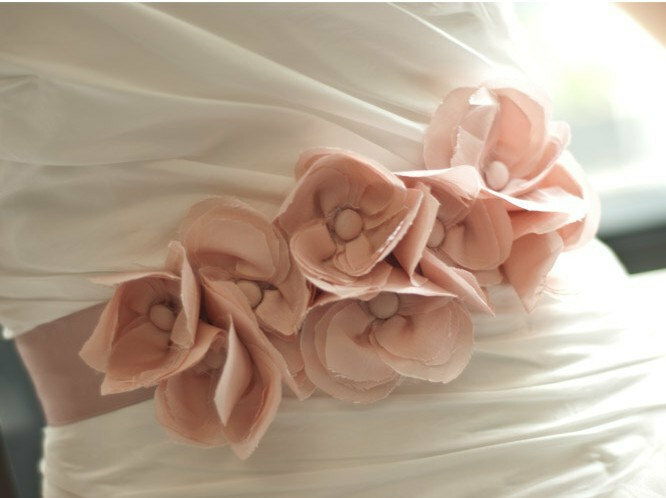 Blush tones are soft and elegant and look gorgeous in spring and summer weddings. 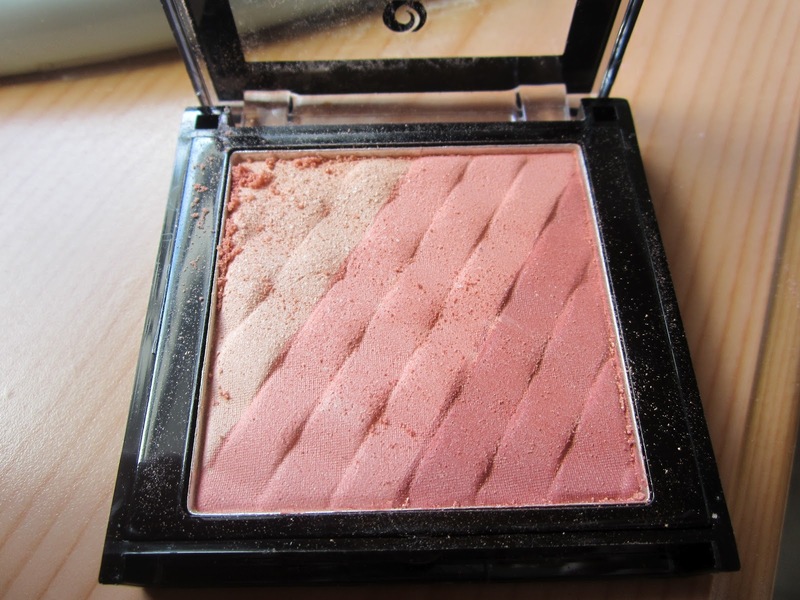 You can get ideas for color schemes by using your own makeup as a sample color palette. Whether you make your entire color scheme blush tones, or incorporate just a few blush items, we are loving this trend! 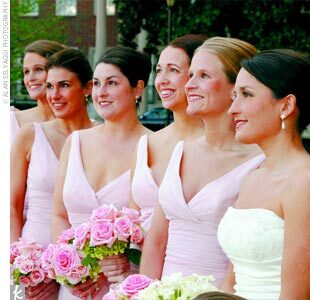 The offset of blush bridesmaid dresses with the bride’s white wedding dress looks beautiful. Looking for a nontraditional wedding dress? This blush dress is absolutely stunning! Blush heels can be worn by the bride and/or bridesmaids; they would look gorgeous with white, beige, or gray dresses. 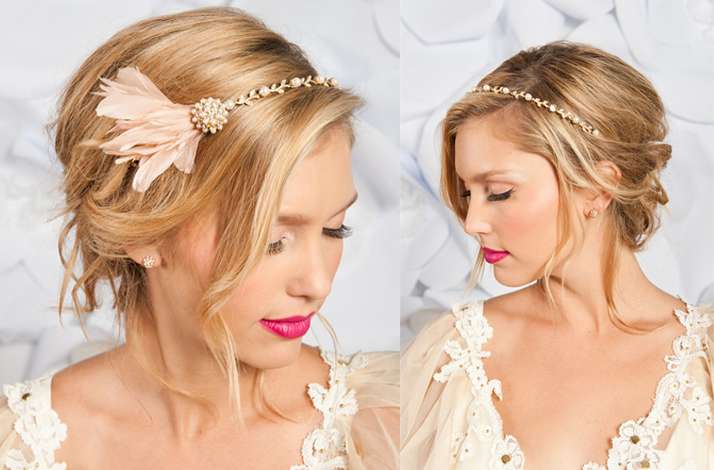 Headband or headpieces with blush embellishments look lovely. Using a sash or ribbon around the bride or bridesmaid dresses is a great way to spice up a solid color dress. 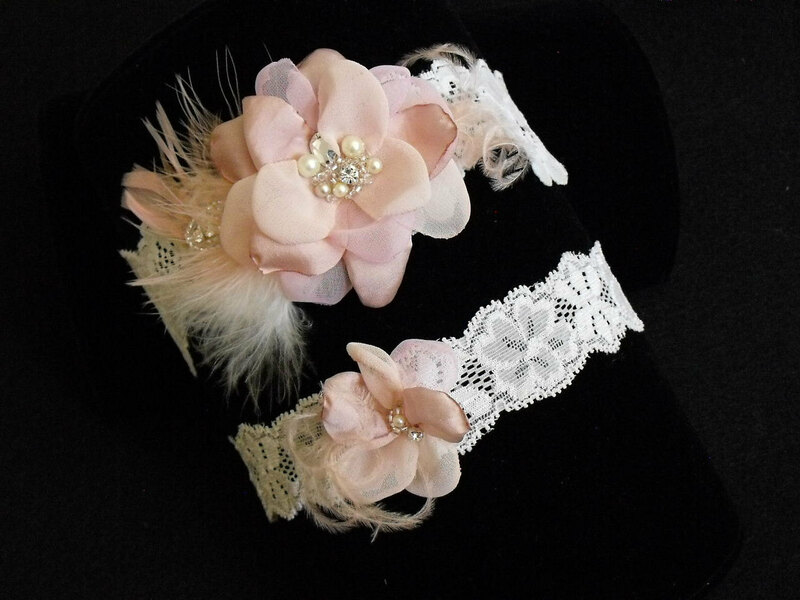 The bride may want to wear a blush embellished garter. Wear soft neutral tones of pinks and browns on your lips, cheeks, and eyes. Paint your nails soft pink or neutral colors; it looks classy and chic. 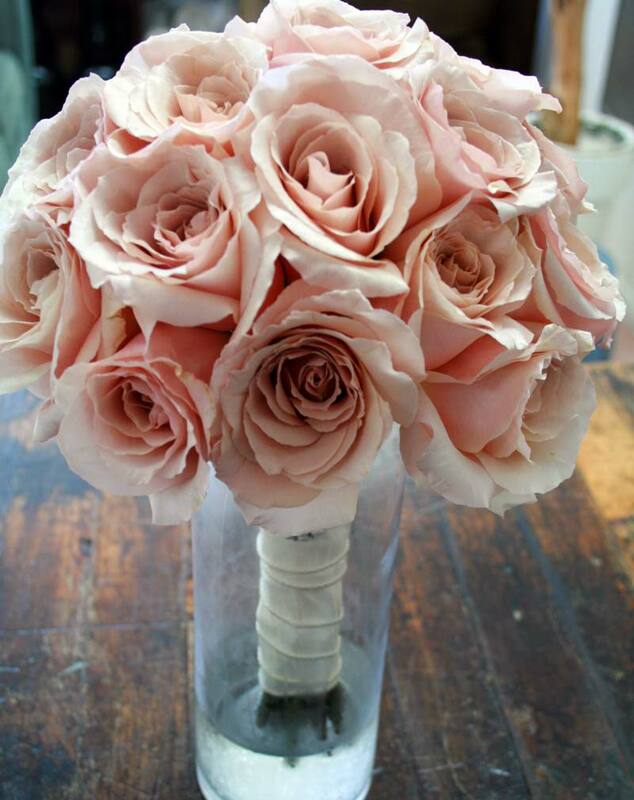 Blush toned flowers look very pretty by themselves or mixed with white or brighter toned flowers too. Incorporate colors in your altar with flowers, ribbons, or tulle. 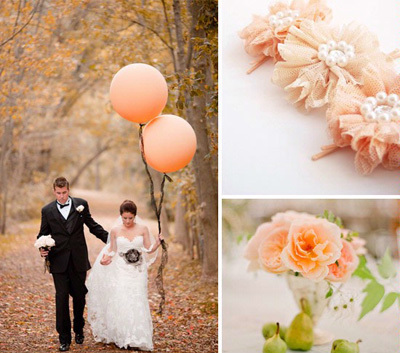 Use blush colored balloons for your big exit. 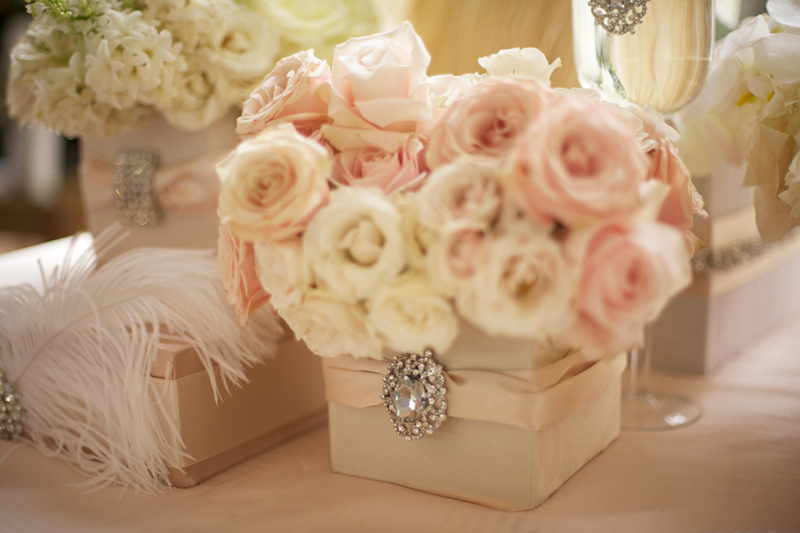 These centerpieces are absolutely remarkable and sophisticated with ivory accents. 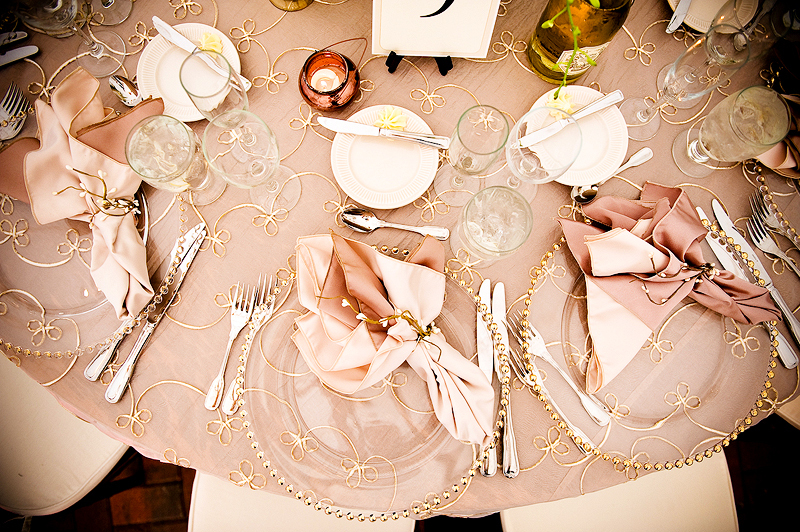 Love the added touch of gold to the blush table cloth, napkins, and plates. 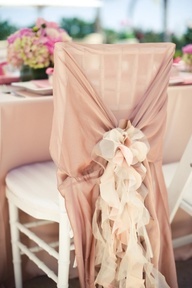 Use sheer organza fabric to wrap your chairs with. 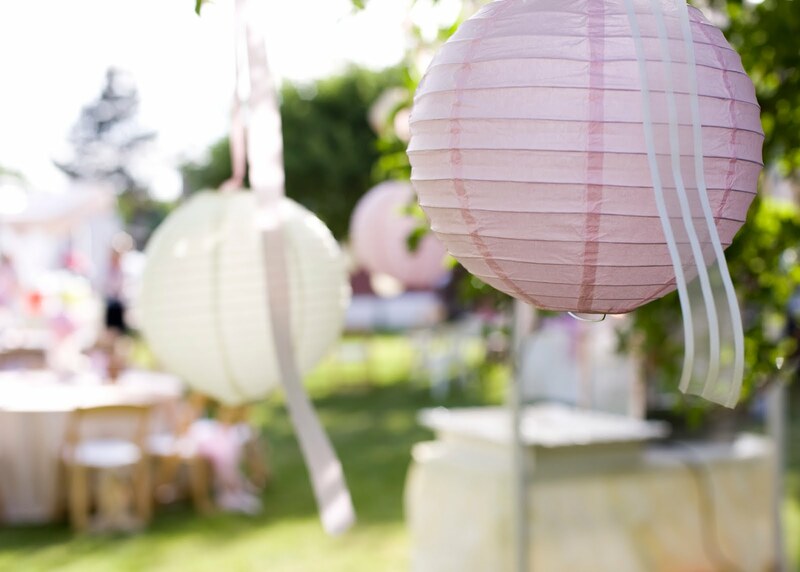 Light up your reception with chinese lanterns. 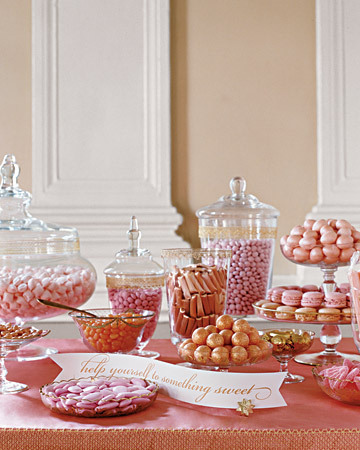 Have a food bar with fun soft pink colored foods like cotton candy, bubble gum balls, pink wafer cookies, frosted donuts, frosted cupcakes, frosted cookies, even colored hard boiled eggs! 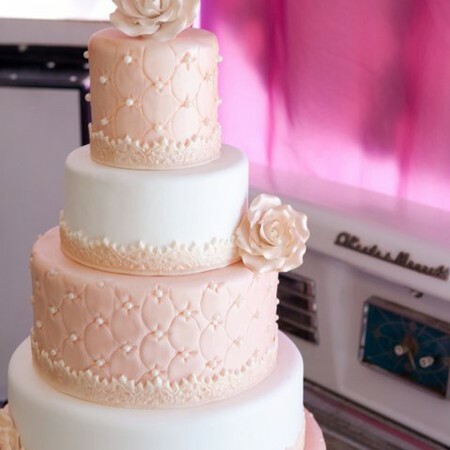 Lastly, don’t forget the fabulous wedding cake! These colors are beautiful alone or work well with white, cream, gray, silver, gold, and light brown color tones. 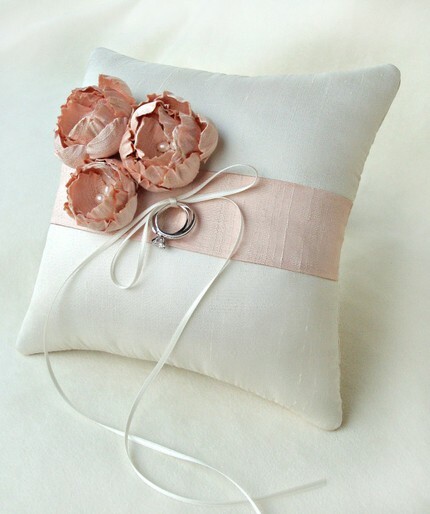 Let us know what you think, will you use blush tones in your wedding?